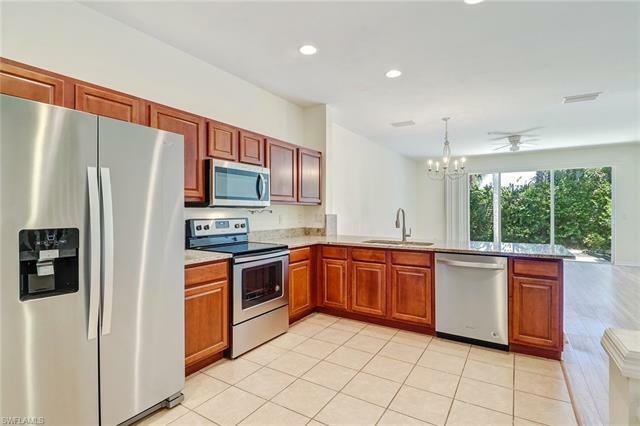 PRIME North Naples location this beautiful UPDATED townhome features an open floor plan with 1580 sq ft, 3 bedrooms, 2.5 bathrooms, and 1-car garage. Updates include brand new whirlpool stainless steel appliances, new granite counter tops taken down to modern counter lever, whole home freshly painted. Brand new wood laminate flooring downstairs and brand new carpet upstairs! Enjoy the privacy on your lanai while taking in the views of the serene nature. The 1st floor features a large, open floor-plan with combination living/dining room, eat-in kitchen and half-bath. The second floor also has vaulted ceilings in all 3 bedrooms and laundry room is located upstairs for extra convenience. Situated next to A-Rated schools, its also an easy drive to Mercato, upscale shopping and dining, the beaches, I-75 and downtown Bonita Springs. Milano amenities include a geo-thermal pool and spa, cabana, lighted tennis courts, lighted basketball court, walking and biking paths, and barbecue grills. 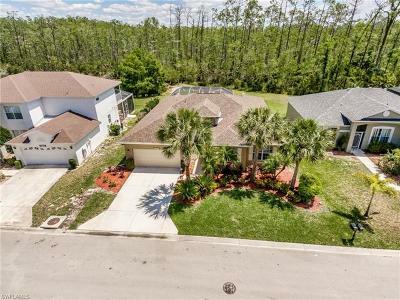 You will not find a better value in this Naples location! Brand new roofs were just installed for the whole community!